So does solving a math problem feel like waging a war against an army of zombies? Well, it obviously does. But, fortunately, with a wide range of educational mobile apps to your rescue, cracking Maths questions is no longer Da Vinci mystery. Here we round up some best maths apps (iPhone, iPad and Android) to help kids of all ages with their mathematical understanding and best of all, all these games are actually fun! Young kids will develop number recognition and early maths skills such as basic addition, while older kids can work on algebra and calculus. These maths apps teach kids about why maths is so important in everyday life too. Some of the below apps is specifically designed to target the math domains and standards required for Elementary, Middle and High School students following the Common Core State Standards for Maths. Other few maths apps is designed to follow the programmes of study for the England National Curriculum. Everyone solves math problems differently, and conventional education methods may not be the best way to a learner’s understanding. We have picked our best maths apps for kids of different ages to learn basic arithmetic concepts (addition and subtraction, multiplication, division), number sense, fractions, geometry, algebra and so on. This app is a means of accessing the IXL Maths exercises alongside the longer established computer based option. On IXL, maths is more than just numbers. With unlimited questions, engaging item types, and real-world scenarios, IXL helps learners experience maths at its most mesmerising! Maths practice is an essential aspect of maths education and this app tightly focuses on making this as productive and efficient as possible. Parents and teachers alike can utilise it to ensure that their children master and remember the maths skills they are taught at school. IXL is an immersive learning experience that provides comprehensive, curriculum-aligned maths and English content for ages 4-18. With IXL, your children will learn at their own pace, IXL’s adaptive questions automatically adjust to just the right level of difficulty. A wide variety of question types keeps practice sessions fresh and enables all types of learners to succeed. IXL Maths app is available for Android and iOS (iPhone and iPad) devices. Rocket Math believes all students can learn math facts and it doesn’t need to be hard. Scientifically designed for success, the Rocket Math Online Game offers a way to teach kids math facts so that they can enjoy it, do it well, and do it quickly. They cannot help but learn their math facts from playing this game. Children can login and play from any device, anywhere, any time of day! Choose from ten Learning Tracks – Students can be placed into one of ten learning tracks: the basic 1s through 9s for add, subtract, multiply or divide, but also Add to 20, Subtract from 20, Fact Families, and 10s-11s-12s. Get instant help and corrections – Any time you can’t answer a fact in 3 seconds, the problem and answer are given by Mission Control, and you have to prove you’ve learned it. Rocket Math is an offshoot of an existing programme for schools designed to increase children’s speed and fluency in answering simple arithmetic. Rocket Math believes that students are motivated by seeing their own learning and success. They love learning math facts because it makes doing math much easier. Parent and Teacher dashboards allows you to see the progress of any children or group of students. DoodleMaths is a maths programme that supports maths learning in homes and schools. It identifies children’s weaker areas in learning and adapts a programme to that child. Designed and optimised for mobile and tablet, DoodleMaths is perfect for learning on-the-go and as a support for homework. It is used both to raise attainment with lower attaining pupils and extend the more able, regardless of special educational needs or language barriers. 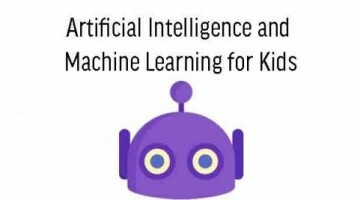 Its in-built intelligence identifies the strengths and weaknesses unique to each child and constructs a work program specific to their needs. Designed by maths teachers, Doodle Maths adapts to meet you child’s current ability and knowledge – just like a teacher would. It facilitates frequent practise and provides help and support to learners who are subscribed to the service. Build the maths confidence of your 4-14 year old with a work programme tailored to their strengths and weaknesses, proven to raise attainment. With every question answered, DoodleMaths learns more about your child’s understanding, building a work programme to improve their ability and confidence. You can get involved with your child’s maths and help motivate them every step of the way through the parent area of our website and the Parent Connect app. Click here to know more about the DoodleMaths app. Designed by teachers for families, Komodo builds a solid foundation in maths for children aged 5 to 11. A qualified maths teacher will personalise a learning plan for your child. A maths teacher sets up each user’s baseline in the app and parents define the rewards. Children then engage in little-and-often practice to raise their maths knowledge and skill. Komodo’s focus is on mastering arithmetic and mental math/maths because this is the key platform for future success in mathematics. 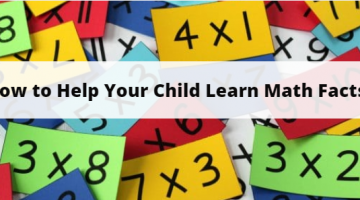 It takes learner through counting, addition, subtraction, multiplication – including times tables, division, fractions, decimals, percentages and many more essential topics. Vegetable Maths Masters is a free maths app using vegetables. Children can practice maths skills whilst playing with real images of vegetables in a fun way which also teaches children about the names of the vegetables and helps to make them more familiar. The app is designed to support maths and also encourage healthy eating. Children can trace numbers 1 to 10 with vegetables, count numbers 1 to 10 by feeding vegetables, match number of vegetables in a card game, learn addition and subtraction, basic fractions with vegetables. This app is designed by experts to help with maths practice and develop positive attitudes to eating vegetables. Timeland is an app that teaches children the concept of time. The features include a child friendly calendar and clock to teach the concept of everyday activities as well as displaying how time moves on. 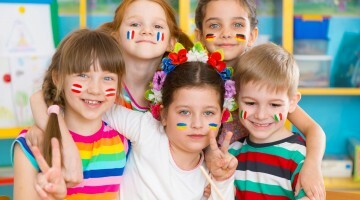 This application is designed for children aged 3 to 7 and comes in a number of different languages. Timeland is a good app that can be used by young children with their parents or unsupported once the timelines have been set up. The ability to access the calendar to a specific date is ideal to map out events for the child on a particular day such as their birthday or a week leading up to an event such as a holiday. Elephant Learning provides a choice of 21 interactive maths games that are based on a particular theme and title. The graphics and visual prompts of this application are beautifully presented and really help the learner become involved in Maths whilst having fun. Each character when pressed has its own sound and quirky characteristics. We particularly liked the howling wolf and the giggling snails. Some of our users found the themes quite repetitive and the developers should consider a theme that mixes all characters together or selects random characters. Division with Ibbleobble uses the familiar mechanic of answering multiple-choice questions to practice and develop fluency in division. It combines this approach with a polished and well-designed presentation. A child’s ability to answer division questions is strongly linked to their understanding of multiplication but, as well as knowing the multiplication tables fluently, they must still practise specific division questions. This builds their skill in employing their multiplication knowledge in the correct way to work out division-based arithmetic. Instead of a single grade, kids can now access to practice content for all Grades 1 to 5. This benefits all learners- the kid who has completed his/her grade level, can now go beyond and practice the next grade level; and the kid who needs revision of previous grade skills, can go back and strengthen them. Splash Math adapts to the kid’s level and ensures mastery of all grade level math skills. This App comes with cross-platform accessibility; kids can access Splash Math through the desktop or iPad using the same log in.This app has another brilliant feature of insightful performance reports in graphical dashboard enabling parents to know the trouble spots and strengths of their kids while they practice. Splash Math helps first graders in learning addition facts, subtraction facts and time. Splash Math helps second graders in learning Place Value, Number Sense, Money and Measurements. Splash Math helps third graders in learning multiplication facts, division facts, fractions and geometry. Splash Math helps fourth graders in learning decimals. Zapzapmath educational math game is designed by experienced teachers, parents and gamers to help elementary school-going kids (K-6) learn math in a most engaging and effective way. It is the perfect games-based math learning platform to accompany children throughout their early mathematical education. The app has engaging Math Games for Kids that stimulates and engages children with over 15 million questions answered. Zapzapmath has over 150 math lessons to practice, with a fully developed comprehensive curriculum that has been designed to mirror State Standards. All of this combined into a game-based ecosystem of fun math learning for preschool, kindergarten and elementary kids! This app has a staggering amount of information – If you’re studying maths at high school or University, and want reference guide for formulas, this is definitely the app for you. The app is broken down by the different subjects that you would find in any standard curriculum. In the UK this app would be suitable for students studying GCSE’s or A-Levels, and even some university students who wanted to brush up on the basics. For maths up to university level this app contains every formula you would need to know, for every curriculum that we are aware of. 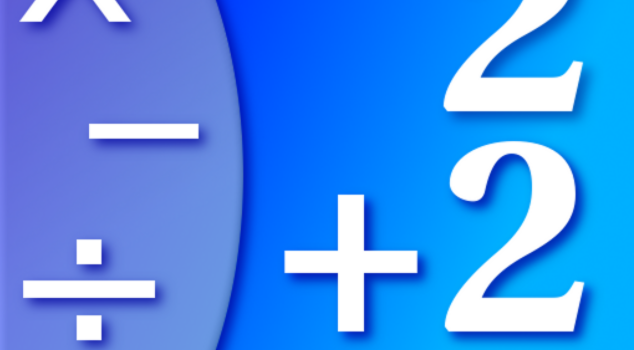 Get math problems solution in real time with the MyScript Calculator. This math solver app can reinforce math skills and boost confidence, when it’s used to check math calculations. Young kids can practice number formation. Older kids work on properly lining up equations before solving them. May motivate children to participate more in math, especially if they prefer technology over the use of a pencil and paper. Complex problems of trigonometry, logarithms, and percentages have never been so easy to solve. You can also find lots of similar apps in the list of best math solver apps for Android or iPhone chosen by our editors. Regarded as the best app for maths, Photomath can solve an arithmetic problem smartly with just one look. All you have to do is just point the camera to the paper with the problem and you are done. Photomath finds a solution using augmented reality features. It is best with basic math problems such as algebra. You can easily solve the problem by writing it on the app’s screen. The user can easily solve the mathematical problems based on integers, arithmetic, decimal, algebraic expressions, graphs and much more. This math problem solver app supports about 36 languages at all to help a large number of people.